Sleek shapes and classic designs, the Longines Elegant collection is truly stunning with modern simplicity that is sophisticated and alluring. 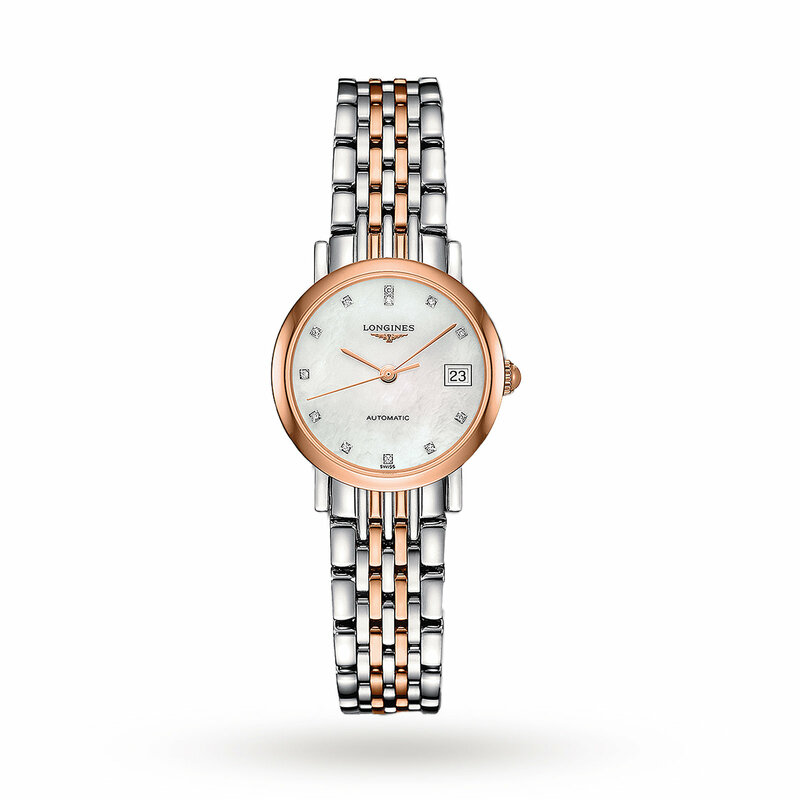 Driven by a precision automatic movement, this Swiss-made Longines Elegant ladies’ timepiece features a 25. 5mm 18ct rose gold case presented on a bracelet weaved with rose gold and stainless steel links. 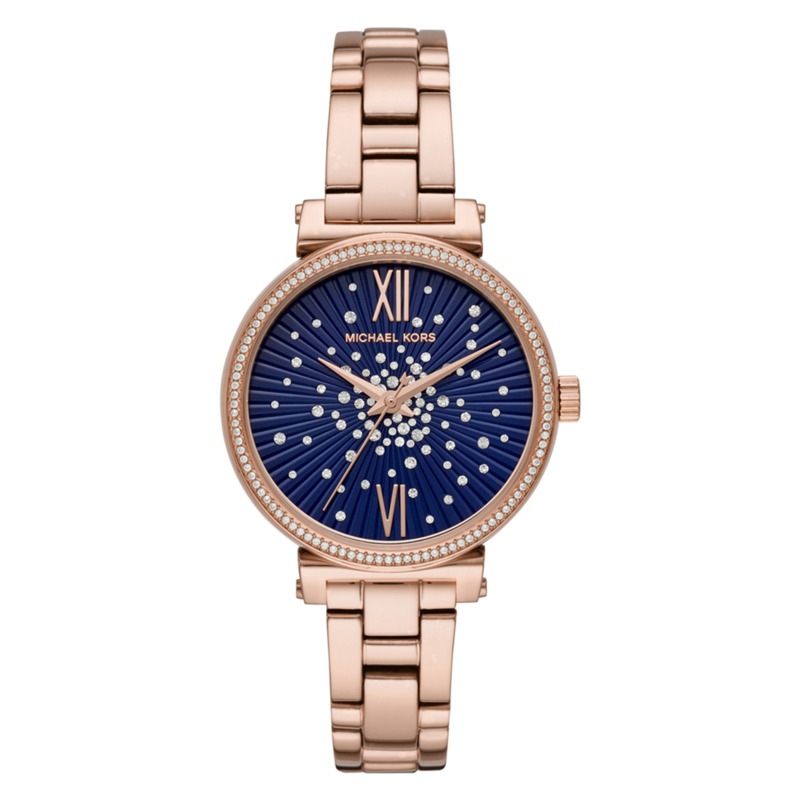 Set within the case is a luxurious mother-of-pearl dial, decorated with diamond markers, slim black hands, a rose gold-plated second hand, date window and sapphire crystal glass for protection. Demonstrating effortless style and exemplary performance. 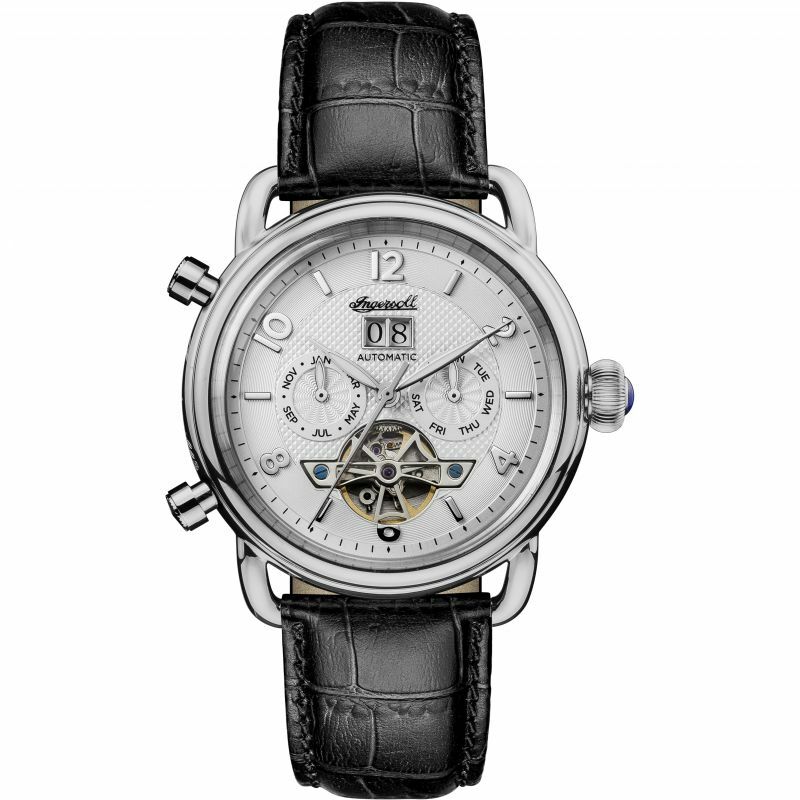 Explore the full Longines collection.